Sir James George Frazer (1854-1941) is rightly regarded as one of the founders of modern anthropology. The Golden Bough, his masterpiece, appeared in twelve volumes between 1890 and 1915. This volume is the author's own abridgement of his great work, and was first published in 1922. Remarkable for its vast assembly of facts and its charm of presentation, it offers the thesis that man progresses from magic through religious belief to scientific thought. It discusses fertility rites, human sacrifice, the dying god, the scapegoat and many other symbols and practices which have influenced a whole generation of 20th century writers, including D.H. Lawrence, Ezra Pound and T.S. Eliot. Before Joseph Campbell became the world's most famous practitioner of comparative mythology, there was Sir James George Frazer. 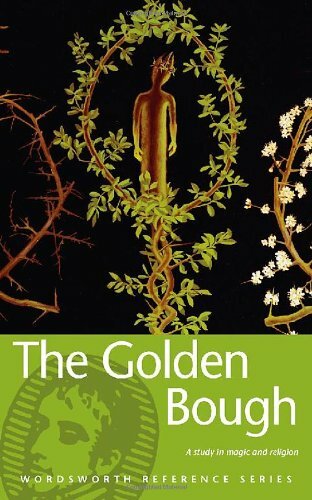 The Golden Bough was originally published in two volumes in 1890, but Frazer became so enamored of his topic that over the next few decades he expanded the work sixfold, then in 1922 cut it all down to a single thick edition suitable for mass distribution. The thesis on the origins of magic and religion that it elaborates "will be long and laborious," Frazer warns readers, "but may possess something of the charm of a voyage of discovery, in which we shall visit many strange lands, with strange foreign peoples, and still stranger customs." Chief among those customs--at least as the book is remembered in the popular imagination--is the sacrificial killing of god-kings to ensure bountiful harvests, which Frazer traces through several cultures, including in his elaborations the myths of Adonis, Osiris, and Balder. This greatly revised and enlarged twelve-volume third edition (1911-15) of the controversial work by Sir James Frazer (1854-1941) applies the techniques of comparative ethnography to classical religion. Volumes 10 and 11 (1913) continue to examine taboo behaviour, and consider the role of sunlight and firelight in ritual.